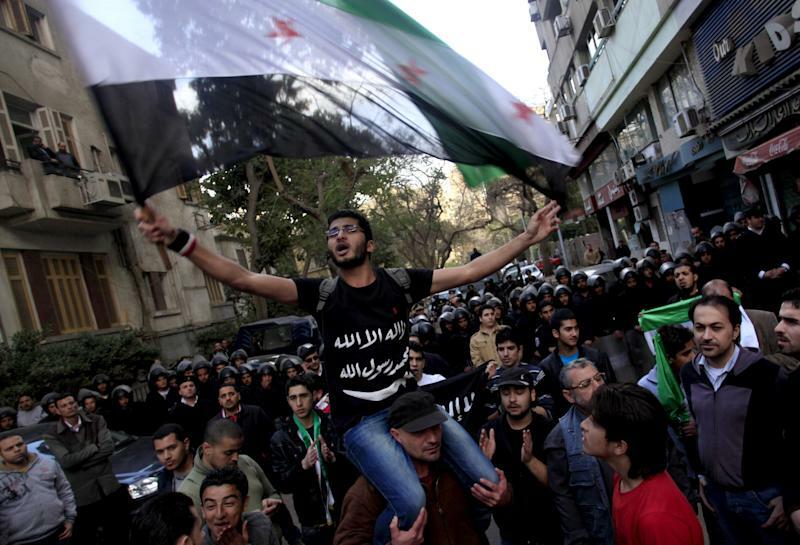 CAIRO (AP) — An Islamic organization on Thursday urged Syrian opposition forces and members of President Bashar Assad's regime whose hands are not tainted by violence to hold talks to try to resolve the nation's bloody civil war. 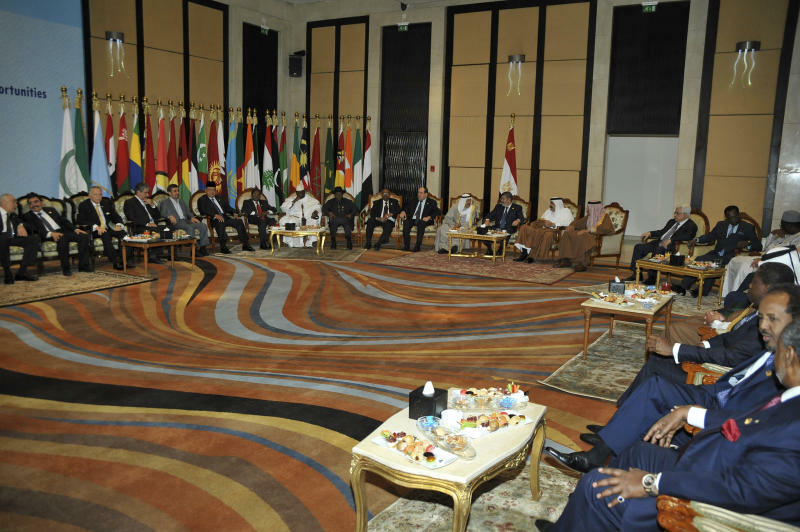 At the end of a two-day summit in Cairo, the 57-member Organization of Islamic Cooperation said that such talks could help achieve the "aspirations of the Syrian people for democratic reforms and change." The statement did not call on Assad to step down, but the summit exposed conflicting views among Muslim and Arab nations about the Syrian civil war. 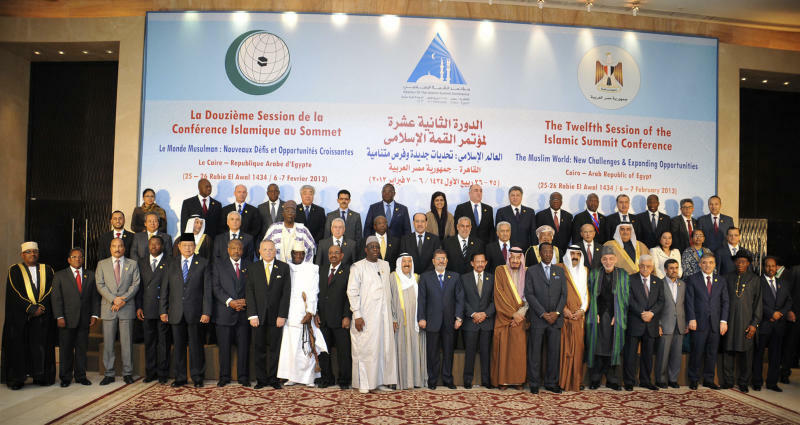 In the past, many nations at the summit, including Egypt, have demanded that the Syrian leader step aside. Egypt's Islamist president sharply criticized Assad's embattled regime in his address to the summit, but did not directly call for the Syrian leader to leave as he had in past comments. The Syrian government, he said, "must read history and grasp its immortal message: It is the people who remain and those who put their personal interests before those of their people will inevitably go." The summit also witnessed the first visit of an Iranian president to Egypt in more than three years, as Egypt's Islamist government aimed for warmer relations with Iran. In a goodwill gesture, Iranian Foreign Minister Ali Akbar Salehi said in remarks carried by Egypt's official news agency that Iran will cancel visa requirements for Egyptian tourists and merchants. "Lifting visas for merchants and tourists coming from Egypt to Iran, will be announced," he was quoted by MENA as saying. "Every day we will take steps forward." President Mahmoud Ahmadinejad's visit to Cairo reflected Egypt's attempts to strike an independent foreign policy and reassert Egypt's historic regional leadership role following the ouster of Hosni Mubarak, a close U.S. ally who shared Washington's deep suspicions of Tehran. Meanwhile, Iran seeks warmer relations with Egypt as a way to break its international isolation and win a heavyweight ally.